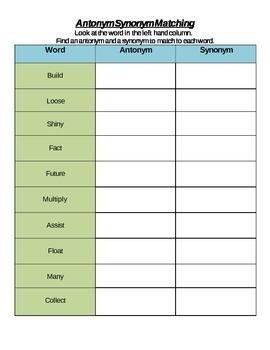 This is an antonym synonym matching activity that is great for a center. All you need to do is print this template and laminate the activity so students are able to write with dry erase markers on it. Then write the answers from the answer key on something fun (I wrote them on plastic Easter eggs). The students grab an Easter egg, read the words on it and match the words on Easter egg to the word in the left hand column it correlates with. 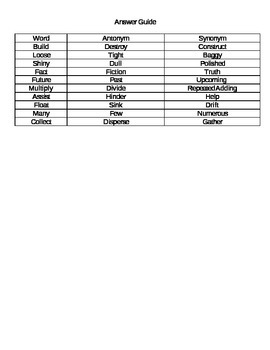 Students write the words that match in the antonym and synonym column.